B2B companies that blog generate 67% more leads per month than those that don't. 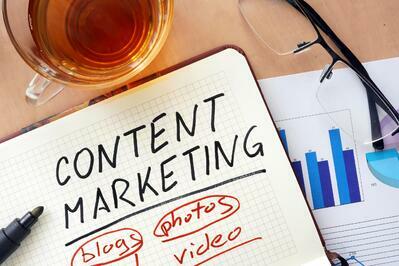 Content marketing produces 3 times more leads per dollar than alternatives. Companies that use marketing automation to nurture prospects experience a 451% increase in qualified leads. I could go on (and you can get more of these stats here). Rather than write a lengthly blog post reiterating many of the things I've written before, I thought it would be helpful to use a different medium. So, today we bring back The Demand Creator Minute. In this video, I share the most important questions sales executives and marketers should consider when it comes to utilizing content and implementing inbound marketing. The bottom line is that the customer has radically changed how they learn, engage, shop and ultimately buy. The change applies to every type of purchase made, from complicated, multi-million dollar infrastructure investments to how we buy junk food (Amazon now allows you to buy a bag of Doritos by literally clicking a button). The problem is that not enough sales organizations have made the changes necessary to stay ahead and succeed. The choice is yours.